Data science is an emerging discipline that offers both promise and peril. Responsible data science refers to efforts that address both the technical and societal issues in emerging data-driven technologies. Prof. Getoor is a computer scientist who is well known for her theoretical work that integrates logic and probability to reason collectively and holistically about context in structured domains. In this lecture, she will describe some of the opportunities and challenges in developing the foundations for responsible data science. How can machine learning and AI systems reason effectively about complex dependencies and uncertainty? Furthermore, how do we understand the ethical and societal issues involved in data-driven decision-making? There is a pressing need to integrate algorithmic and statistical principles, social science theories, and basic humanist concepts so that we can think critically and constructively about the socio-technical systems we are building. In this talk, she will lay the groundwork for this important agenda. Lise Getoor is a professor in the Computer Science Department at UC Santa Cruz and the director of the UC Santa Cruz D3 Data Science Center. Her research areas include machine learning and reasoning under uncertainty; in addition she works in data management, visual analytics and social network analysis. She has over 200 publications and extensive experience with machine learning and probabilistic modeling methods for graph and network data. She is a Fellow of the Association for Artificial Intelligence, an elected board member of the International Machine Learning Society, serves on the board of the Computing Research Association (CRA), has served as Machine Learning Journal Action Editor, Associate Editor for the ACM Transactions of Knowledge Discovery from Data, JAIR Associate Editor, and on the AAAI Council. She was co-chair for ICML 2011, and has served on the PC of many conferences including the senior PC of AAAI, ICML, KDD, UAI, WSDM and the PC of SIGMOD, VLDB, and WWW. She is a recipient of an NSF Career Award and eleven best paper and best student paper awards. In 2014, she was recognized as one of the top ten emerging researchers leaders in data mining and data science based on citation and impact according to KDD Nuggets. 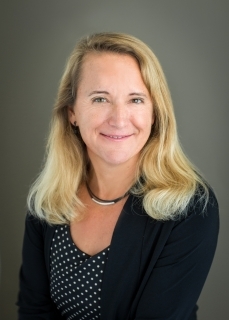 She is on the external advisory board the San Diego Super Computer Center, and the scientific advisory board for the Max Planck Institute for Software Systems, and has served on the advisory board for companies including Sentient Technologies. She received her PhD from Stanford University in 2001, her MS from UC Berkeley, and her BS from UC Santa Barbara, and was a professor at the University of Maryland, College Park from 2001-2013.